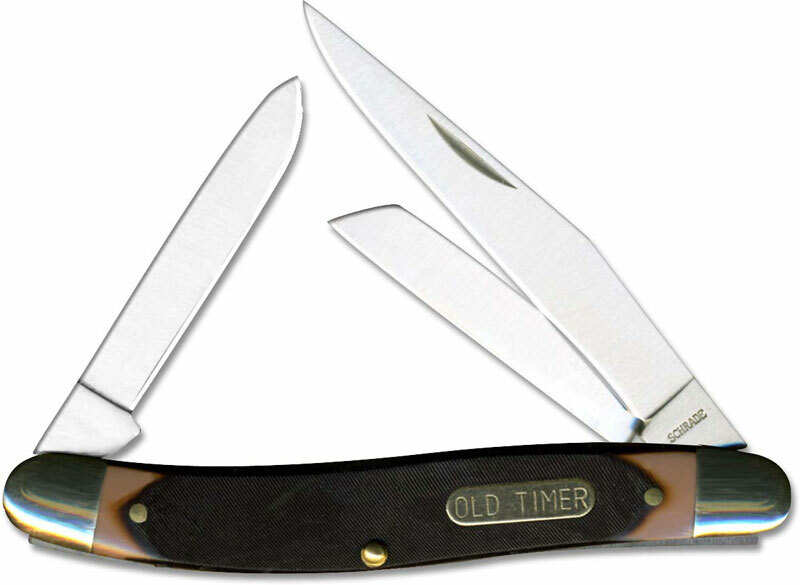 The illustrated Old Timer Knife is the Slim Premium Stock Old Timer Knife that features clip, spey and sheepfoot blades made of stainless steel; all with nail nicks for easy opening. The sawcut brown Delrin handle of this Old Timer knife, 4.0" closed, has brass liners, Old Timer shield inlay and nickel silver bolsters. The Old Timer Slim Premium Stock Knife weighs 2.5 ounces. This Old Timer Knife is imported. I have been looking for tha old timer knife SC-61OT for long time you guys had one. It replaces a knife that I have had for. Over 30 years.